Published on February 29, 2008	in Bullettini. Published on February 29, 2008	in 2008. Last Sunday 24 February 2008, H.L. 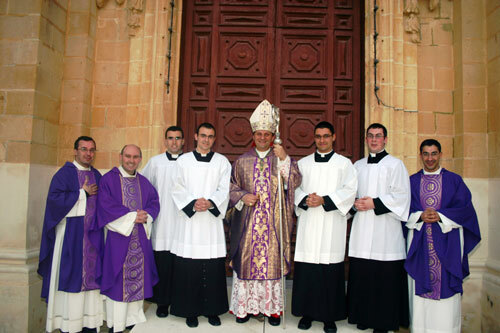 Mgr Mario Grech, bishop of Gozo, conferred the ministry of Lectorate on four seminarians who are in their fifth year of formation at the Sacred Heart Major Seminary, Victoria. Il-Kummissjoni Djoċesana Żgħażagħ (Għawdex) tistieden liż żgħażagħ Għawdxin li jaħdmu u jistudjaw Malta għal tlitt ijiem eżerċizzi tar-Randan. L-Eżerċizzi se jsiru l-ġimgħa d-dieħla, jiġifieri t-Tlieta, l-Erbgħa u l-Ħamis, 4,5 u 6 ta’ Marzu, fil-Kappella tas-Sorijiet Franġiskani, Triq il-Ħriereb, Msida (zona Msida Circle). L-eżerċizzi jibdew fis-7.15p.m. 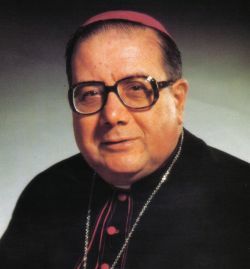 On his 79th birthday, we wish a great Happy Birthday to Bishop Emeritus Mgr Nikol Cauchi. We offer our prayers for him, and invite all to a thanksgiving mass next Sunday 2nd March at Good Shepherd Church, Victoria at 19:00 hrs. Published on February 27, 2008	in 2008. 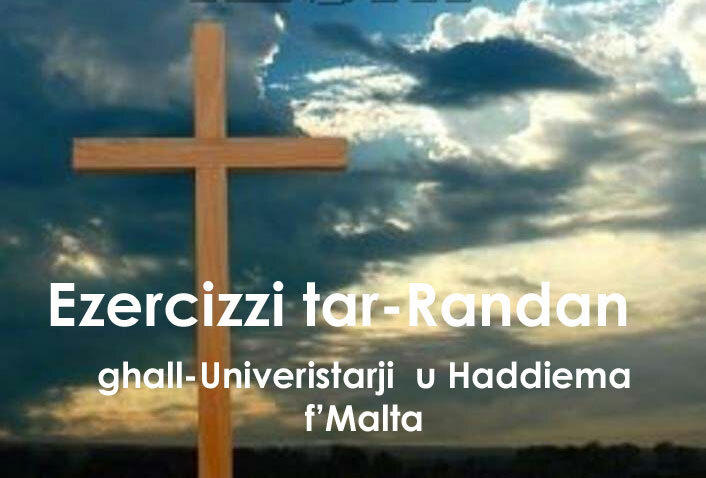 Il-Moviment Gradwati Għawdxin jistieden lill-gradwati u l-membri tal-professjonijiet kollha (anki koppji) ghall-Quddiesa ta’ l-ewwel Gimgħa tax-Xahar fis-7 ta’ Marzu. Din se titmexxa minn Dun Joseph Mercieca fil-knisja ta’ Santu Wistin (Victoria) fit-8.30 pm - ħin tard fl-għaxija biex jippermettilhom jaħtfu din l-opportunita’ u jsegwu omelija speċifikament għalihom. Mit-8.15 ikun hemm il-possibilta’ tal-Qrar. Published on February 27, 2008	in Newsheets.